Addison DeWitt: That I should want you at all, suddenly strikes me as the height of improbability. But that, in itself, is probably the reason. You're an improbable person, Eve, and so am I. We have that in common. Also, our contempt for humanity and inability to love, and be loved, insatiable ambition, and talent. We deserve each other. I had read comments about the quality of the writing in this film but I really had no idea to what extent this would elevate the experience. The fact is, it leaves me with no other choice than to give it a perfect 10. Unless you see this film, I don't think you'll have the necessary frame of reference with which to to base any expectations on. It's an incredibly engrossing, moving and often comedic experience, but time and time again what knocks you over is the absolute finesse with which this script was crafted. The fact that the acting and direction are flawless and surprisingly natural-seeming (most old movies usually seem stiff or people seem to "act" too much) only enhances it that much more. With this film, you can really imagine the *people* the actors are portraying. 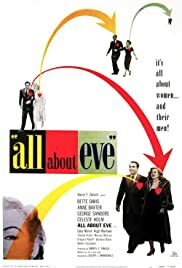 "All About Eve" shows some similarity to one of my other favourite 50s films "A Face in the Crowd". Both are studies of fame and celebrity. 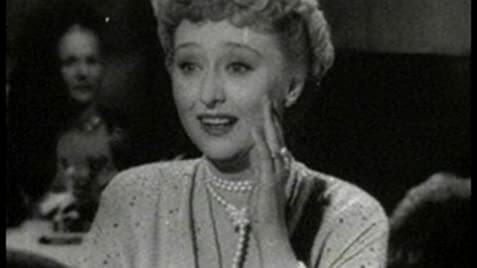 Eve shows how a person will corrupt themselves in order to attain it, whereas A Face's premise is that fame corrupts those who find themselves in the spotlight. Both have themes that are perhaps even more resonant in our celebrity-obsessed culture now than when they were made. Interestingly, Eve predates A Face by several years. And possibly most interesting of all is the honest and often raw way in which women are portrayed, the strength of their character and the power they wield. The male contingent is practically relegated to the back seat. One might be hard pressed to find a movie quite so "liberated" today. So what more can I say? If you love movies and you haven't yet seen it, you've suffered long enough; don't wait another day. 136 of 181 people found this review helpful. Was this review helpful to you?